Payroll software is one of the most demanding of software applications, with its emphasis on absolute security and tight deadlines. 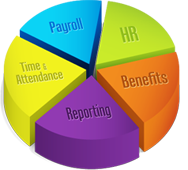 It will be an easy to use and easy to learn payroll software that is highly automated and comprehensive. We will develop in response to requests from HR Professionals for a program that does it all yet remains user-friendly.